The Indian male consumers’ fashion sensibilities are evolving. Therefore, it is no surprise to see that the demand for accessories has gone up in the market. Today, across the world the times have undergone a massive change, owing to which, the customers’ mindset now wishes to check out unique accessories, especially those that are personalized and bespoke, which “in fact also reflect the personality of the individuals that wear them and in turn make a fashion statement of their own,” shares Gaurav Mehta, owner of the bespoke watch brand, the Jaipur Watch Company. Here comes the customized option and watches are the real rage. The Indian fashion and lifestyle market is set to grow at a compounded annual growth rate (CAGR) of 12% over the next five years to reach Rs 3,94,000 crore from the currently estimated Rs 2,21,000 crore, said an A T Kearney. This includes a chunk of the total accessory market as well, which is estimated to grow from 8.8% to 14% in the next five years. This includes apparel accessories, bags, wallets, belts, fashion jewelry, time wear, and eyewear as well. “Bespoke is a fairly newborn concept in India. But it has huge entrepreneurial potential. Customers are giving priority to bespoke accessories like watches rather than owning expensive well-known brands,” adds Mehta. Let’s face it; times are gone when a watch would turn to become a family heirloom. Then it is no surprise that entrepreneurs are looking at this as a thronging business segment and many are specializing in one or more kinds of accessories, especially for men. Saket Aggarwal is a young entrepreneur who founded Lazy Jojo in 2017. Fairly new, he has made a business out of supplying customized canvas shoes. Today, accessories are no longer viewed as add-ons but have become products in their own right. Rightly so, Mufubu.com of Verun Rastogii is encashing on India’s fashion sensibilities and providing niche and chic rucksacks and smartwatches for men, who love their accessories. 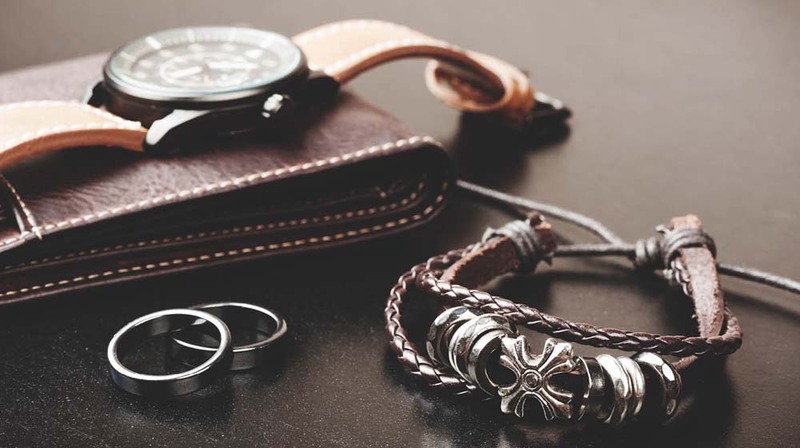 They branched out of smart gifting ideas in 2014 and are making a niche since 2017 into men’s accessories. “The fact that these accessories are popular is because we get repeat orders so much that we are selling literally 300-400 pieces per day,” shares Rastogii. He further adds, “Bags and watches have been a male-dominated segment before it became an accessory market for women. They essentially mark an identity for the working section of the society and have gradually now become a fashion statement." "Increase in disposable incomes has majorly contributed towards the buying-ability of luxury bags and watches but also the technology advancement leads to an increase in the variety of sports and luxury segments which gives consumer quite a lot of options to select from,” shares Rastogii who prides in his range of utility watches which are rage with men of all age groups. As purchasing power increases, so will the desire to hone some extremely personalized bags, watches, shoes, belts and much more, when it comes to men.